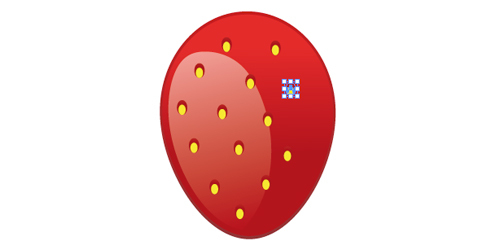 As we want a kind of "web 2.0 fruit" with a glossy style, we will duplicate the global shape, reduce it to approx. 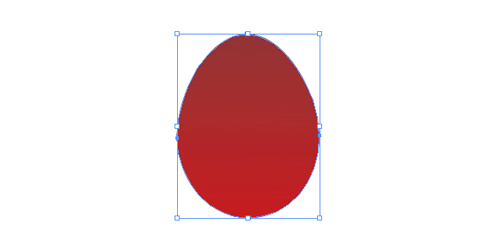 97% and apply another gradient to a lighter red. 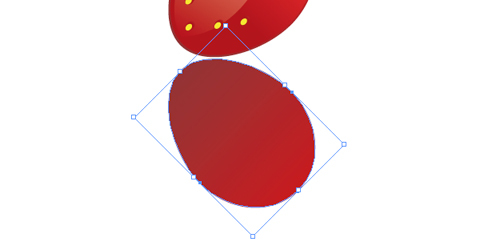 Then, another shape with a very light red will make the reflect of the strawberry. Now let’s try to make those little yellow dots. 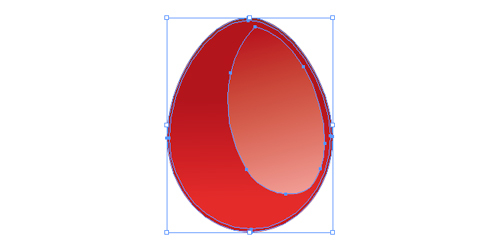 Just make a yellow ellipse on a red gradient ellipse (for the shadow) and place it here and there. 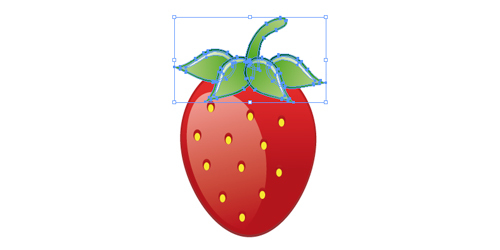 It’s time to make the leaf hat of the strawberry. Same thing as the fruit itself. 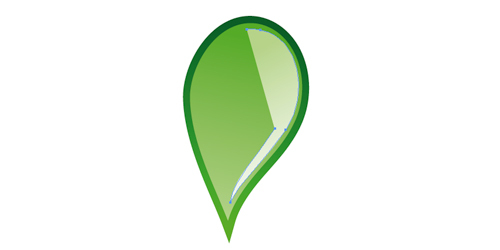 Trace the first leaf with a green gradient. 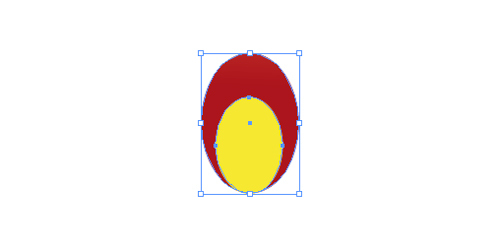 Then duplicate the shape, reduce it to 97% and apply a lighter green gradient. Trace a shiny reflect. 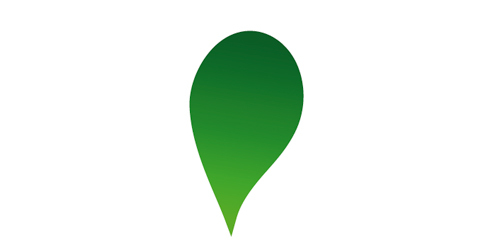 Duplicate the leaf, make a slight rotation and place it in the background for the leaf on the right. 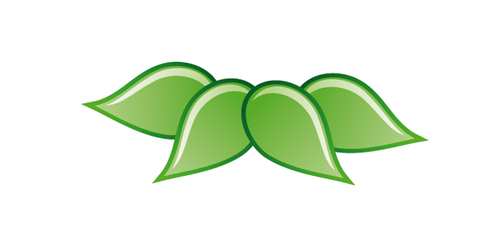 Duplicate these two leaves, make a mirror reflection for the leaves on the left. Don’t forget the stem, and place the whole thing upon the strawberry. Finally, make a -45° rotation to the fruit. 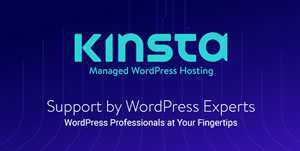 What would be a good old web 2.0 logo without his reflect on the ground ? 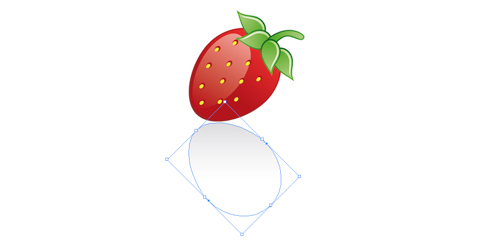 So take the first shape of the strawberry, apply a mirror reflection and place it at the bottom of the fruit. 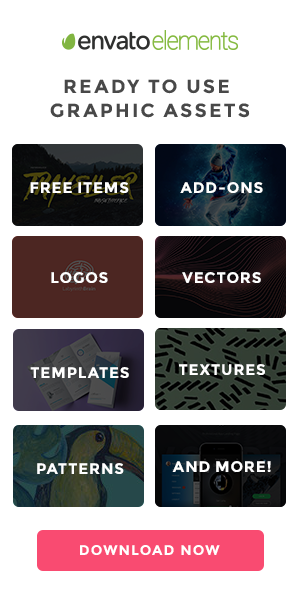 Apply to this new shape a light linear gradient from a light gray to a white. Now we’ve got our glossy fruit, yummy ! 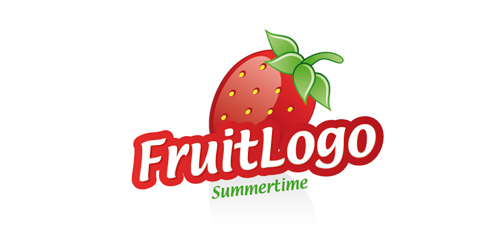 Finally, add the name of the company in a fruity style. We’ll see in a next tutorial how to do this. In summary sweet colours, round shapes, reflections, everything is here to make a brilliant, fresh, clean and funky design.